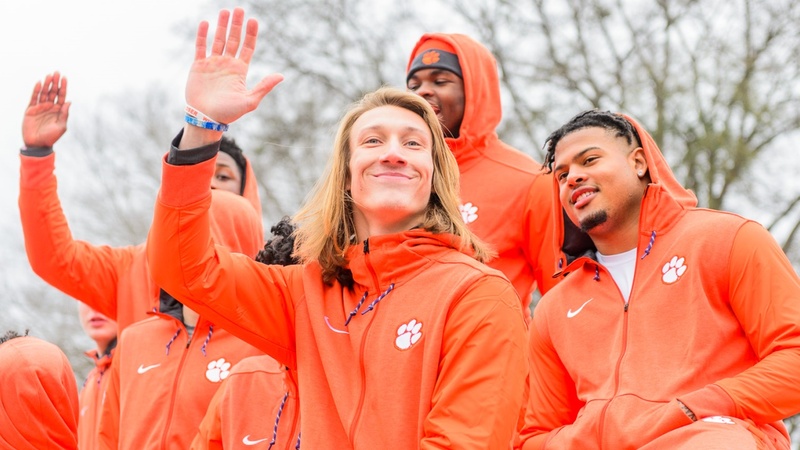 CLEMSON, S.C. — The Touchdown Club of Columbus announced this week that Clemson quarterback Trevor Lawrence has earned the Archie Griffin Award, presented annually to college football's most valuable player following the conclusion of bowl season. The honor is the third bestowed upon Clemson by the Touchdown Club of Columbus this year. On Dec. 18, Lawrence was announced as the organization's Freshman of the Year. Earlier in December, Head Coach Dabo Swinney had been announced as the group's Woody Hayes Award winner as coach of the year. Lawrence becomes the second Clemson player to earn the honor since the award's inception in 1999. Former Clemson quarterback Deshaun Watson, whose school freshman records Lawrence broke throughout the 2018 campaign, earned the award in 2015.